Not sure what to start off this blog with, so I'll post some pictures of my favorite pulls. 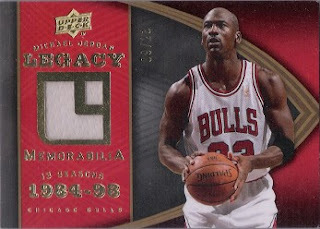 Since I pulled my first jersey card in 2001 (2000-01 Stadium Club Bryant Reeves) I've been hoping to get a Jordan relic. I'll follow this with my best retail pulls (that I havent sold! ).